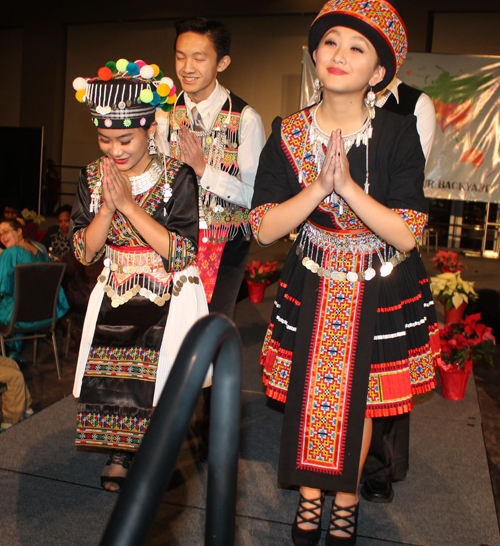 Submit your Cleveland Hmong Community news and events. 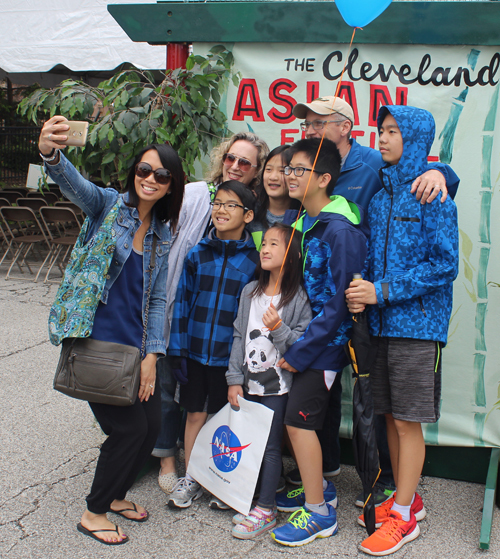 The Cleveland Metroparks Zoo opened a new Asian Highlands exhibit and celebrated with some Asian performances. 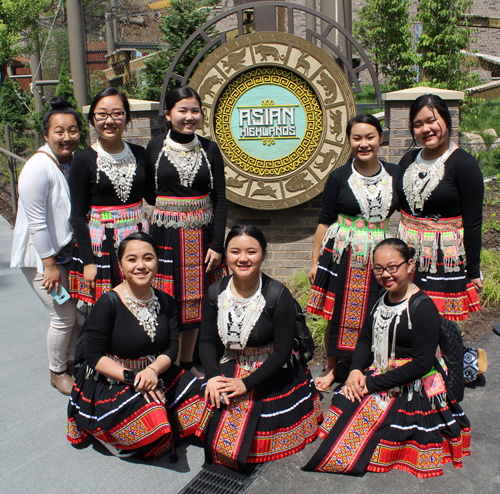 Paj Tawg Tshiab (which directly translates to "blooming flower" in Hmong) is a traditional dance group focused on preserving the performing arts of the Hmong people. Paj Tawg Tshiab is based in Akron, Ohio. 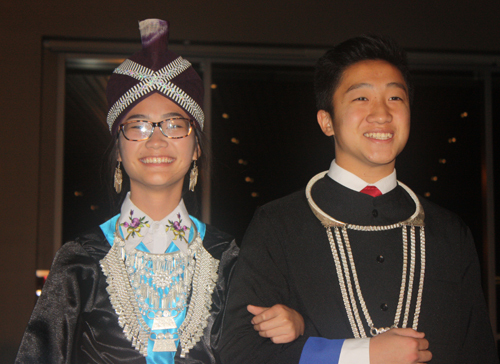 Suzanna Vang, William Vue, Safiah Vang, Desmond Vang, Pachia Lor and Hayden Xiong represented the Hmong people. The Hmong people are an indigenous group in China who migrated to Southeast Asia in Laos and Thailand. The Hmong then resettled in the United States in the 1970s as refugees from the Vietnam War after being persecuted for allying with the US CIA. 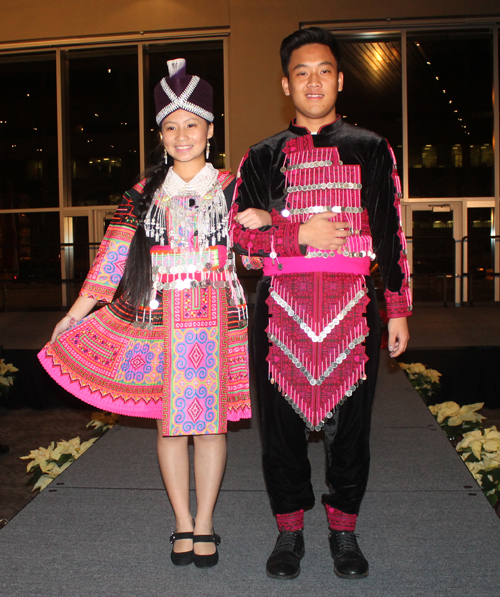 Hmong clothing are traditionally handmade with intricate embroidery designs which indicate with subgroup or region of each family. Traditional clothing for males consists of long black fishermen pants and wraparound tops tucked and secured at the waist by a colored band. For females, traditional clothing consists of a wraparound tops tucked into either long black pants or pleated skirts for a more formal look. The waist is also held up by a colored or embroidered bands. 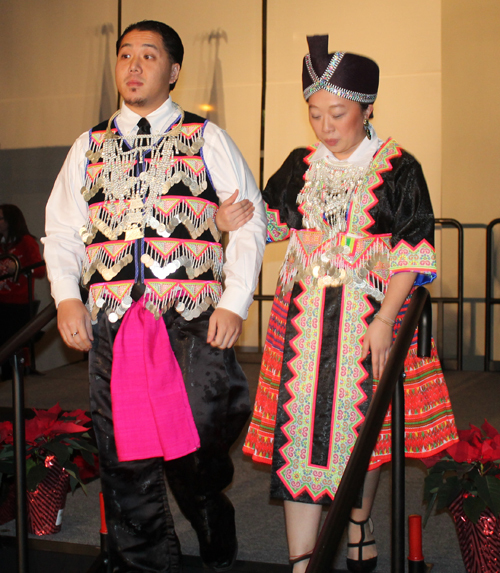 For female clothing, the head piece is the most unique and has become a fashion statement in modern Hmong clothing. Silver coins and beads were originally added to Hmong clothing to represent wealth that are passed down from generation to generation. 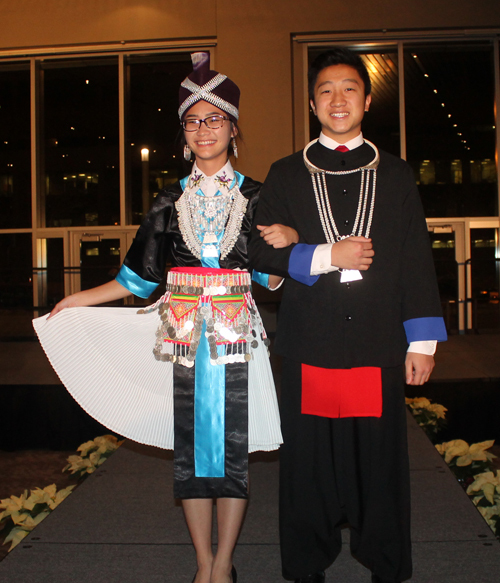 The Cleveland Hmong Community was represented at the 7th annual International Community Council - Worldwide Intercultural Network (ICC-WIN) holiday party on December 14, 2016. 120 people participated in the fashion show and each walked the runway to music from their country. Click on the white arrow to watch the short video of the Hmong models Josslyn Xiong, Mai Kia Lor, Kengee Vang, Tyler Vue and Cathy Vue. Hmong people do not have a country and are scattered among various different countries throughout Asia. The country they identify with is Laos but Hmong people are not the same as Laotian people. 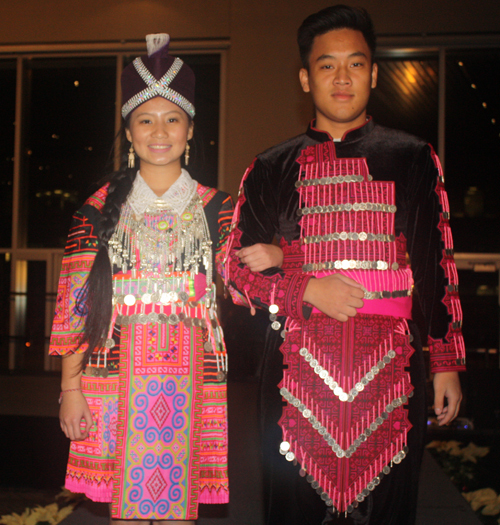 Traditionally, Hmong embroidery is used as a form of decoration on clothing to make it bright and beautiful. 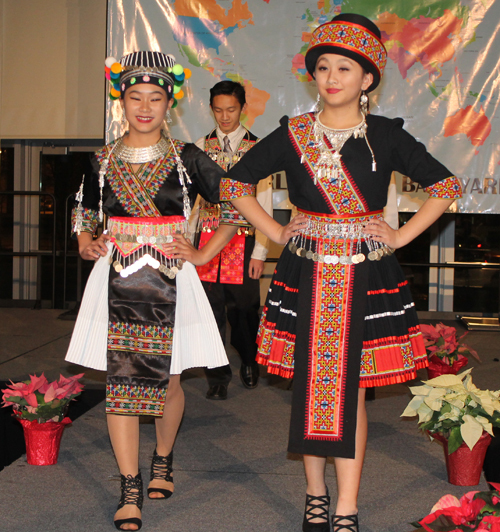 Hmong embroidery includes bright colors: pinks, reds, greens, as well as blues, and these are sometimes used to contrast with the colors overlaid with white. 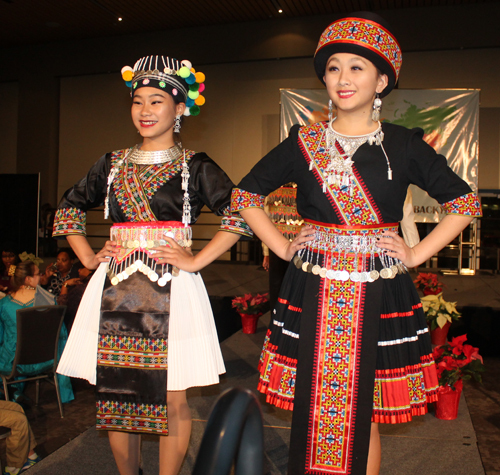 The different outfits and head pieces worn by the women identify which Hmong tribe they belong to as the Hmong people are very diverse. 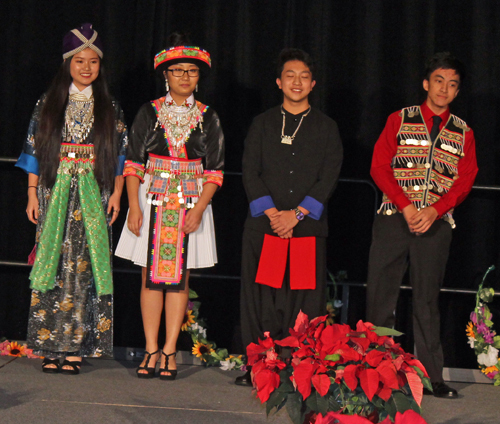 Representatives from the Cleveland Hmong community participated in the International Community Council - Worldwide Intercultural Network's (ICC-WIN) 5th annual multicultural holiday celebration at the Global Center for Health Innovation in the Cleveland Convention Center in Cleveland Ohio. 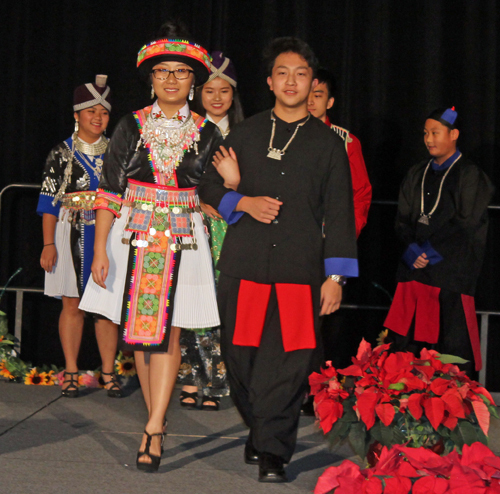 They modeled Hmong costumes at the International Fashion Show which featured traditional costumes of dozens of countries. Asian Services In Action, Inc.
ASIA’s mission is to empower and advocate for Asian Americans/Pacific Islanders (AAPIs); and to provide AAPIs access to quality, culturally, and linguistically appropriate information and services. Submit your Cleveland Hmong Community jobs, classes and other opportunities. Submit your Cleveland Argentine Feedback and Memories. The Hmong are an ethnic group from the mountainous regions of China, Vietnam, Laos, and Thailand. 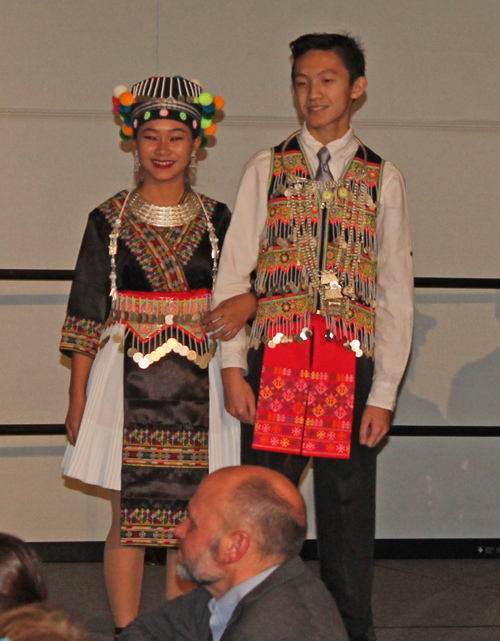 Hmong are also one of the sub-groups of the Miao ethnicity in southern China. Hmong groups began a gradual southward migration in the 18th century due to political unrest and to find more arable land. During the first and second Indochina Wars, France and the United States governments recruited thousands of Hmong people in Laos to fight against invading military forces from North Vietnam and communist Pathet Lao insurgents, known as the Secret War, during the Vietnam War and the Laotian Civil War. Hundreds of thousands of Hmong refugees fled to Thailand seeking political asylum. 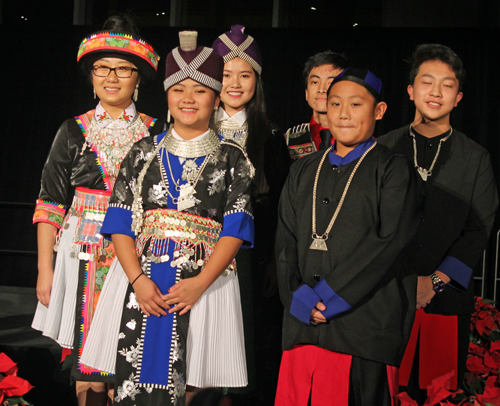 Submit your Cleveland Hmong cultural items. 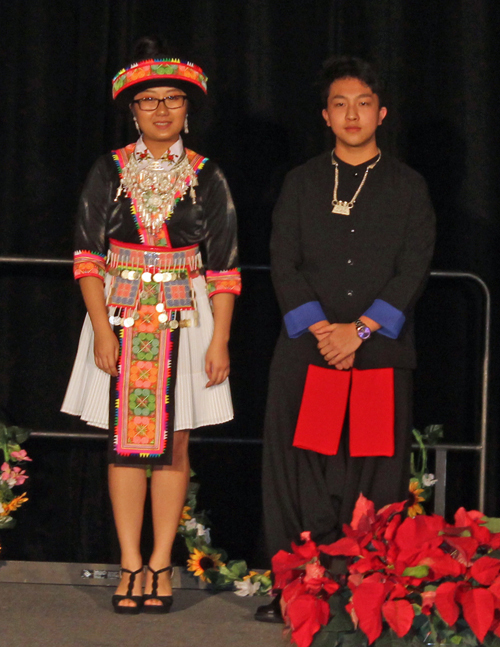 Read more about the Hmong and other Ambassadors. If you are interested in being considered to be an official ClevelandPeople.com Ambassador to the Cleveland Hmong community, please contact us. If you want to reach the Hmong community in Cleveland and Northeast Ohio, please contact us.